PGAdesign creates landscapes that help people live, celebrate, navigate, and play. 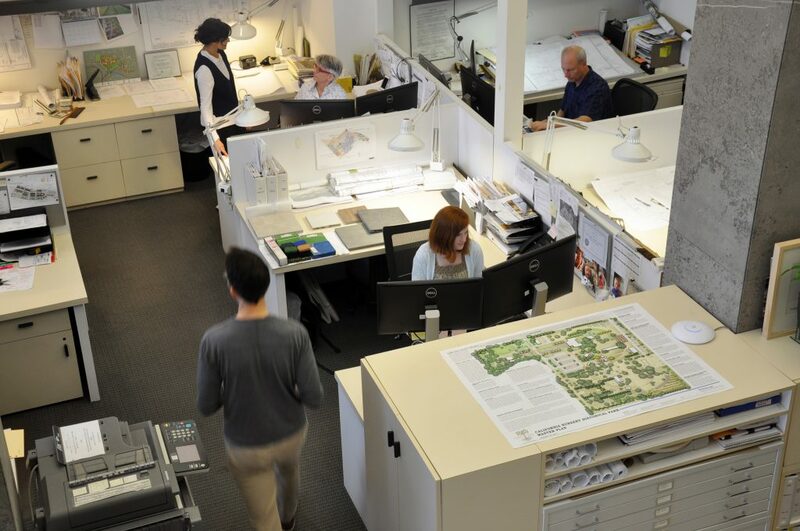 Founded in 1979, the firm has been involved in a broad array of public and private projects, including parks, plazas, schools, multifamily housing, transit corridors, urban development, historic preservation, and master plans. Our work has been recognized with local, state, and national awards. We believe in using our skills and experience to reveal the site’s unique qualities while elegantly integrating the client’s mission and program. PGAdesign conceives memorable places through creative design and effective problem-solving. Our work has been recognized with local, state, and national awards. We champion environmental stewardship, inclusive design, urban placemaking, and a joyful engagement with communities, culture, and history.